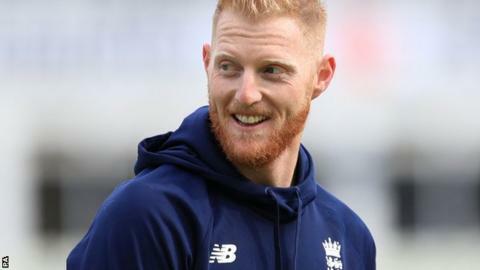 Brewery Greene King will stop broadcasting a television advertisement that features England all-rounder Ben Stokes in a pub. Stokes, 26, was arrested on suspicion of causing actual bodily harm and video footage emerged that allegedly showed him in a brawl on Monday. The advert, filmed over a year ago, has been re-run over the past few weeks. It regularly featured during England's fourth one-day international win against West Indies on Wednesday. That match was played a day after the news of Stokes' arrest became public. A Greene King spokesman said: "Given the ongoing police investigation, we have decided to stop broadcasting the IPA cricket advert, which was filmed last year and features a number of England cricket players, including Ben Stokes." Greene King's five-year sponsorship deal with the England and Wales Cricket Board, signed in 2016, is unaffected. Following the incident in Bristol, Stokes and batsman Alex Hales will not be considered for England selection until further notice.